When I first became a mom, the last thing I wanted to be was like my mom. After all, I was determined to carve out my own path in my new life. But as I aged, I noticed that small things I did resembled something that felt very familiar … my childhood. 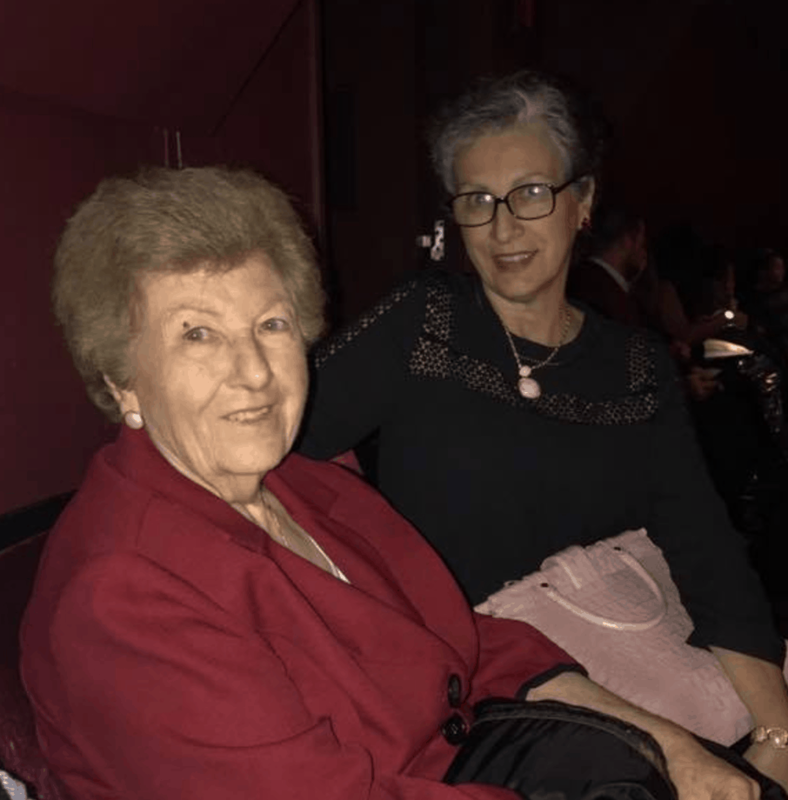 I was so blessed to be raised by two incredible women. My mother and I lived in the same house as my grandparents and together we tackled life as a team. When mom went to work, grandma kicked into high gear. I had the best of both worlds and I am so thankful for it because all of their wisdom poured down on me for decades to come. 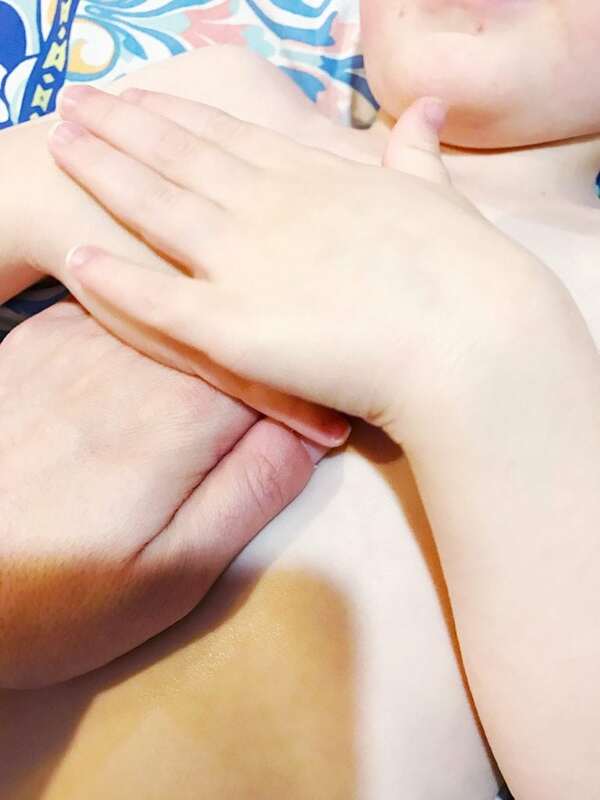 Now, with three children of my own, I reach deep into my soul and pull out soft memories whenever I have to tend to my little ones. A cold is a terrible thing. That’s no secret. A cold that you cannot sooth is worse… especially when someone you love is suffering. That’s why we, as parents, try to do as much as we can to make our children happy when they feel under the weather. So, what can we do? That’s so simple. We bring it all back to the basics. We keep our children fed with warm, chicken soup. I have a really easy recipe if you’d like to check it out. If you like variations, I have a spicy Thai one and a ramen recipe as well. But I find that when the kids are sick… the original is best. 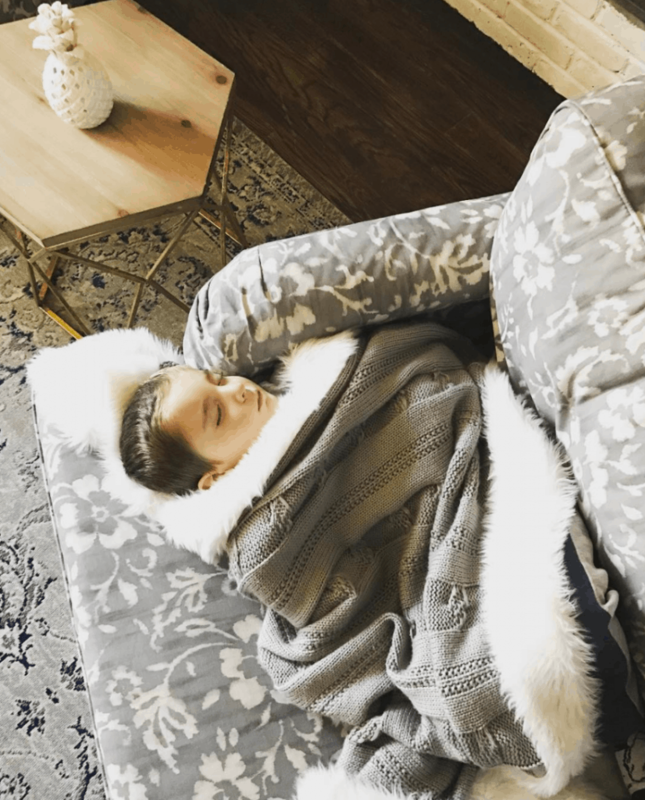 We keep our kids comfortable. My children love to be wrapped up like little burritos when they are feeling under the weather. I can’t tell you how many pictures I have of Caleb sleeping from this year and last. He is just so precious when he winds down. Because he is my last, whenever he is not feeling well, I slow down as well and I let him sleep on me. There’s nothing like connecting in that very quiet way with your children. They need you – even if it’s just to physically be there with them – when they don’t feel their best. So, I do whatever I can to keep them as comfortable as possible. Sure, a leg falls asleep or an arm starts to go numb once I stay in position for too long… but it’s all worth it, right? We provide relief. 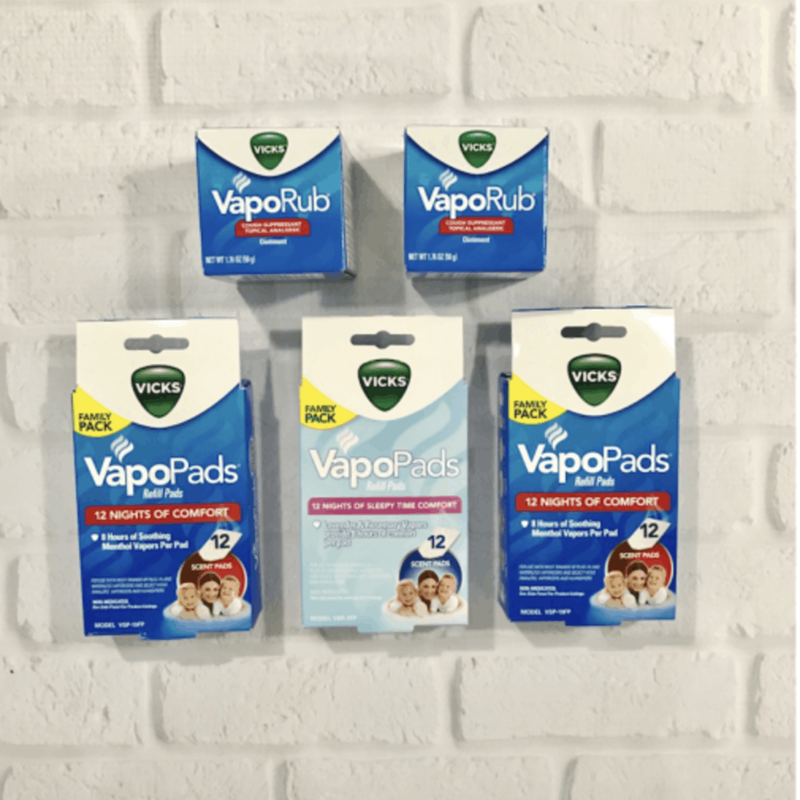 Vicks VapoRub is a go-to remedy that helps moms, dads, and kids find the soothing cough relief they need to get some sleep. I vividly remember my grandmother rubbing Vicks on my chest and feet. If I close my eyes, I can even smell it. There is such comfort associated with these moments for me. Vicks gave me the rest I needed and thanks to that lesson learned, I also do the same for my little ones. 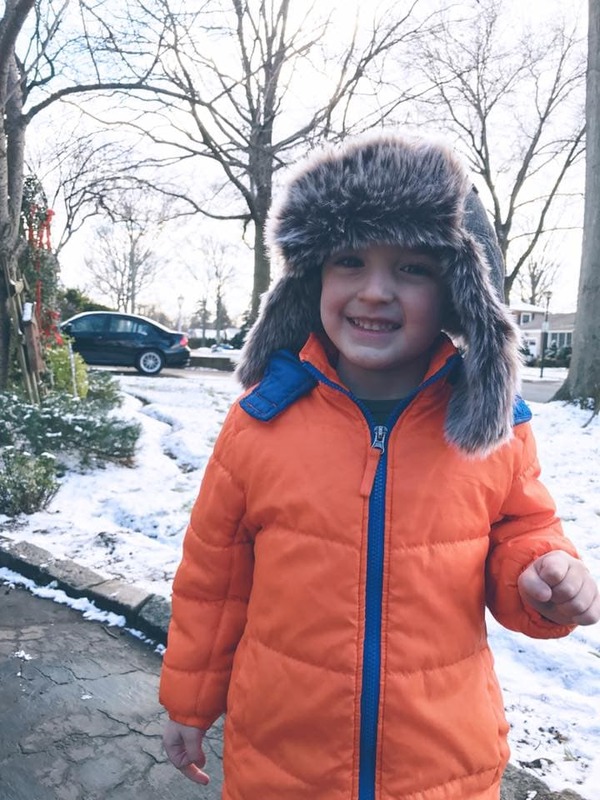 Vicks VapoRub starts working instantly so when Caleb has a cough we trust it to get them feeling better right away! It’s one less thing to worry about during this stressful time. There’s nothing easy about having a sick kid, but Vicks VapoRub makes this sick season go a little smoother. It’s a clinically proven topical cough suppressant that you can easily apply on mom, dad and kids 2 and over and has been around for over 100 years. WOW! 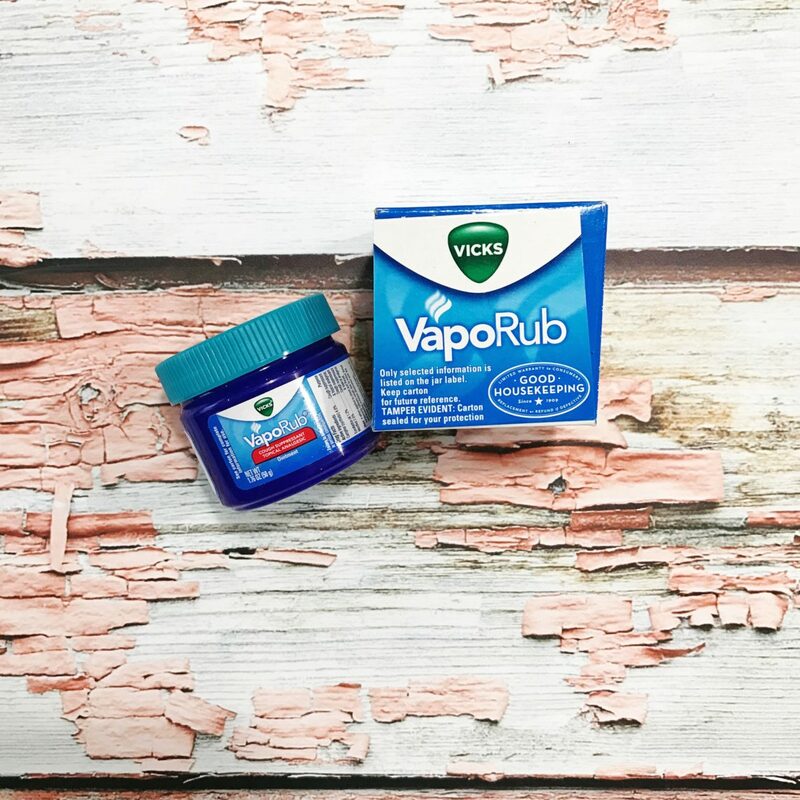 Vicks VapoRub contains medicated vapors that enter the nose and mouth to help soothe a cough. For cough suppression, Vicks VapoRub may be used up to three times daily. Simply rub a thick layer on your chest and throat. Great news! Click here to check out a coupon for you to print! Take advantage of this great deal today. Another great tool that we keep in the house is a humidifier. Vicks cool and warm mist humidifiers are helpful in attaining proper humidity levels in your home. By maintaining humidity levels between 40 and 60 percent, you can help reduce the survival of flu viruses on surfaces and in the air. * My son has to take asthma medicine twice a day on his nebulizer during the Fall and Winter. So, we like to do all that we can to ensure that he can breathe to the best of his ability. We found that having a humidifier in his room really helps him through the cold and cough season. 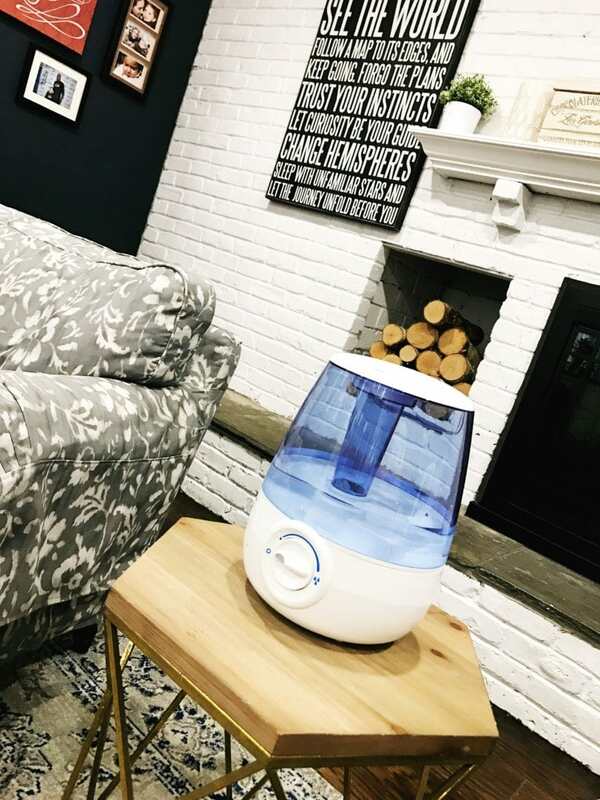 The Vicks Filter Free Cool Mist humidifier quietly produces visible cool mist, providing temporary relief from cough and congestion for better breathing and a more comfortable sleep. Our family turns to VapoRub-the #1 Pediatrician Recommended Rub- to help quiet stubborn coughs anytime. How do you handle the cold season? What do you do to help alleviate the symptoms of a bad cold? Grandmothers ALWAYS know what’s up! I pretty much do anything that my grandmother says is a good idea. You cannot beat chicken soup and Vick’s for busting down a cold fast. It’s what I always do. We always have chicken soup ready! I usually make a batch and freeze it. Or my mom would being it over. A humidifier and Vicks were always a staple in my house. I love that you grew up with your gram, I did too and it was the best ever!!! Chicken soup is always a must along with Vicks. I always keep Vicks on hand this time of year. Vicks has been a consistent brand in our home since I can remember. My grandma swears by it and my mother says it cures all. My mom swore by Vick’s VapoRub! It works wonders when you’re sick. Chicken Soup and Vick’s Vapor Rub were always my mom and grandma’s go to cold remedies as well. The generations before us really did know what was up! As long as there is Chicken soup and Vicks Vaporub, having a cold will be more bearable and help us get back on our feet the soonest. When my kids were young, I would put Vicks vaporub on the soles of their feet and cover them with socks. Really helps ease the congestion. I have recently found some alternative uses for Vick’s VapORub. I am hoping that they work out well. I think that VapORub is one of the best things to fight a cold that there has ever been. 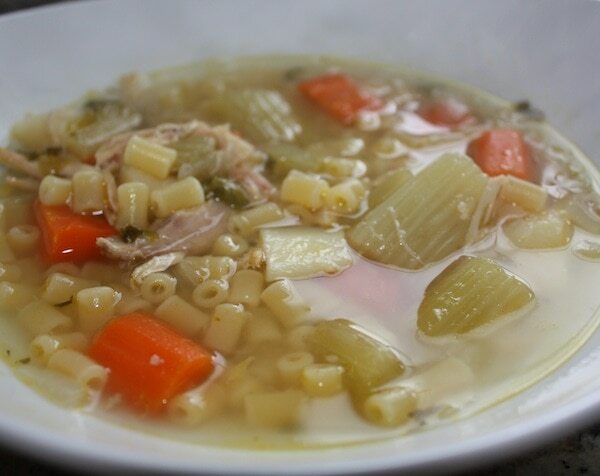 And, of course, chicken noodle soup is great. It always has been. 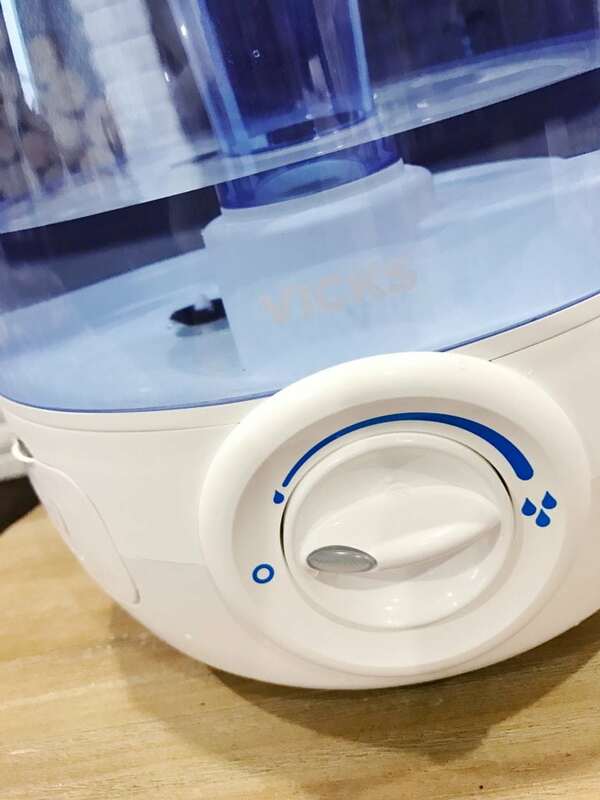 I would love that Vicks Humidifier I keep hearing wonderful things about it! Also I want to make my own Vicks shower steamers to get some of the congestion out while in the shower.